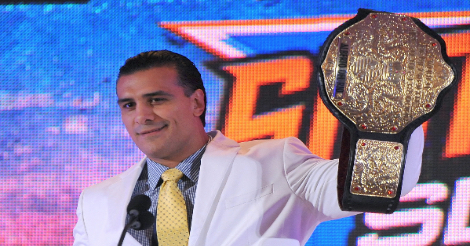 Home » Wrestling News » The Very Latest On Alberto El Patron’s Status With Lucha Underground; Is He Still Considering A WWE Return? The Very Latest On Alberto El Patron’s Status With Lucha Underground; Is He Still Considering A WWE Return? After an early report saying Alberto’s status was up in the air, the Wrestling Observer Newsletter noted a source mentioned Alberto is “out as of right now”. The reported reasons for Alberto’s lack of commitment to a second season have been money and creative. Apparently, Alberto told people he will not be taking any bookings after November, reportedly wanting to take time off in December for his family. It was noted that he may not be back, as it’s a deal (with Lucha Underground) that he could get out of, and the Observer said he’s even told people he’d want to be back with WWE for Wrestlemania. Of course, this might explain why WWE has opened talks and booking ideas about his return, but nothing is confirmed at this time. Earlier reports said WWE might have him return as their next big Latin star; Alberto apparently said if he returned to WWE he’d want it advertised, not a surprise.